Unseen terror can be effective, but here it comes off as a melodrama about a jerk who drags his family to Long Island and broods over the fireplace while becoming an abusive drunk. Jay Anson's novel is actually well written, but the horror is missing in this boring adaptation. 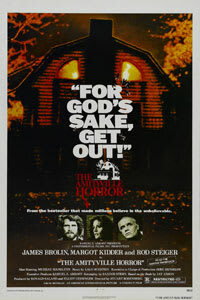 For better results, try the superior Amityville II: The Possession.